It's the newest fad; so totally fab! An absolute must for every party lab! 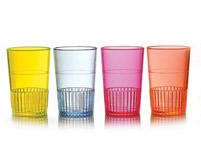 These color brights add fizzling delights to sizzling nights!